Hop on the trolley! On Wednesday, Nov. 4, the Bronx Culture Trolley will take off at 5:30, 6:30 and 7:30 p.m. for a whirl around the lower Grand Concourse. 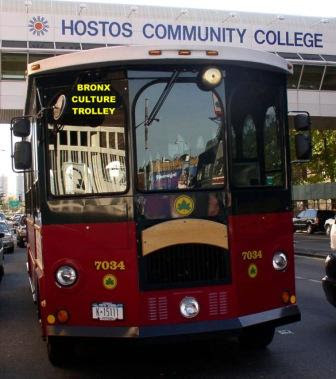 The free trolley ride starts at the Longwood Art Gallery at Hostos Community College with a reception and travels on to boutiques, galleries, poetry readings and other artistic sites throughout the Bronx. Trolley passengers are free to hop on and off the trolley at any stop, however, they should not miss the last stop at Sweetwaters Bar & Grill to listen to some smooth jazz. On Nov. 5, the Bronx Library Center will also have a workshop for children who want to Make A Bookmark at 4 p.m and a Preschool Romp at 11 a.m. The Westchester Square Library (2521 Glebe Avenue) invites teens to a Teen Advisory Group at 3:30 p.m. to voice their opinions about what kinds of events they would like to attend at their library. Every Thursday at 1 p.m. at the Fordham Church and McGinley Center presents an informal music show where a variety of musicians demonstrate their skills. Get funky! The Lehman Center for the Performing Arts presents George Clinton and Parliament/ Funkadelic Saturday, Nov. 7 at 8 p.m. Tickets start at $45-- purchase them before they sell out. The Croton Facility Monitoring Committee meets on Thursday, Nov. 5 at 7 p.m. at the DEP’s community office, 3660 Jerome Ave. For more information, call (718) 231-8470. Bronx Community Board 6 will hold their monthly Health & Human Services , Housing and Land Use, Transportation and Economic Development committee meetings this Wednesday, Nov. 4 at 6 p.m. at 1932 Arthur Avenue. 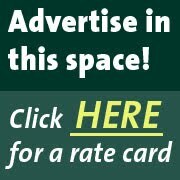 Bronx Community Board 7 will hold their Education Committee meeting Nov. 4 at 6:30 p.m. and their Land Use/ Zoning Committee meeting Nov. 5 at 6:30 p.m. at 229A East 204th Street. Bronx Community Board 10 will hold their Economic Development Committee meeting on Nov. 4 at 7:30 p.m. at 3165 East Tremont Avenue.